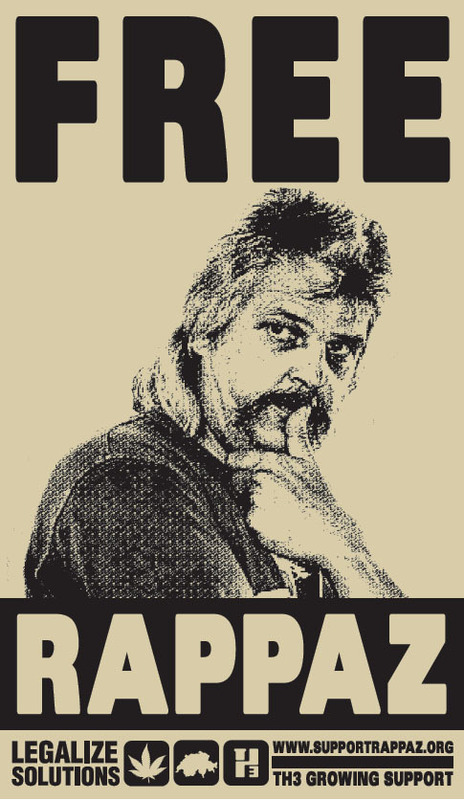 From switzerland, hemp activist Bernard Rappaz was condemned to 5 year and 8 month of prison, after an unfair trial, in which the charges mix cheerfully the violation of the federal drugs laws, money laundering, violation of the road traffic laws, etc etc. After 50 days of hunger strike to acquire a federal review of his trial, he was placed on probation, then re-incarcerated. He began a new hunger strike. The joint manager had only a suspended sentence and a light fine imposition. Did the Helvetic authorities sentenced him to death?? After some long negociations with the swiss authorities, Bernard Rappaz must execute a jail term of 5 years and 8 month for the developpement of his therapeutic, textile, paper (...) hemp trade. Unfair trial and investigation, inequitable jugement (the joint manager got smaller punishment) hallucinating charges (accused of money laundering) for a hemp activist, (like Marc Emery), and this, although he always wanted to respect the laws of his country and of the swiss districts (cantons). He is a scapegoat, the man to shoot down. Nonviolent by deep conviction and since a long time, to express his disagreement and obtain a review of his trial (which the demand began to be a long time coming to find an answer, from the swiss authorities), he began a new hunger strike at 57. After about fifty days, he was hospitalized and he had a special permission of two weeks, while he could recover one's strength, but not recover all the energy spended in the trial of strength with the authorities. These authorities which did not wait the end of the promised 2 weeks, and which resend him strive towards his punishment, while they know he strive toward too his hunger strike, and they hypocritically call him to eat, like if they want to wash them with. This case is hush up by a lot of not scrupulous lobbies, which put pressure on the State and on the press, to be sure it will not spread out too much.